Visiting 18 or so countries each November and December, the entire value chain participates, strengthening its own domestic ties while building and reinforcing relationships with international grain buyers and identifying potential markets for wheat classes that may benefit from additional attention. 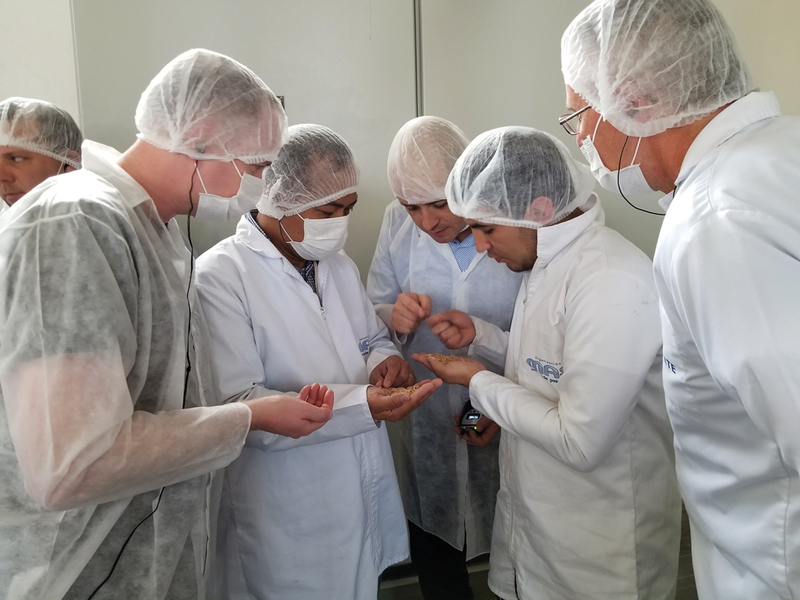 On the 2017 Latin American new crop mission, Canadian delegates and staff members of Colombian milling company Organización MAS examine a wheat sample. Prior to the dissolution of its marketing monopoly on Aug. 1, 2012, the Canadian Wheat Board handled outreach coordination. The end of this coordination meant that Cigi and the CGC engaged in separate missions that did not include farmers or exporters. “We didn’t have that single, common voice from Canada,” said Cam Dahl, Cereals Canada president. While millers in the United States and Canada remain the largest purchasers of Canadian wheat, the new crop missions program has become a central point of contact in servicing other major customers in countries such as Japan, Indonesia, China, Colombia and Peru. New crop missions also work to cultivate developing markets such as Bangladesh and Nigeria. Buyers in these new markets often blend Canadian Western Red Spring (CWRS) wheat with cheaper Black Sea wheat. This allows them to produce higher quality flour at a lower price. 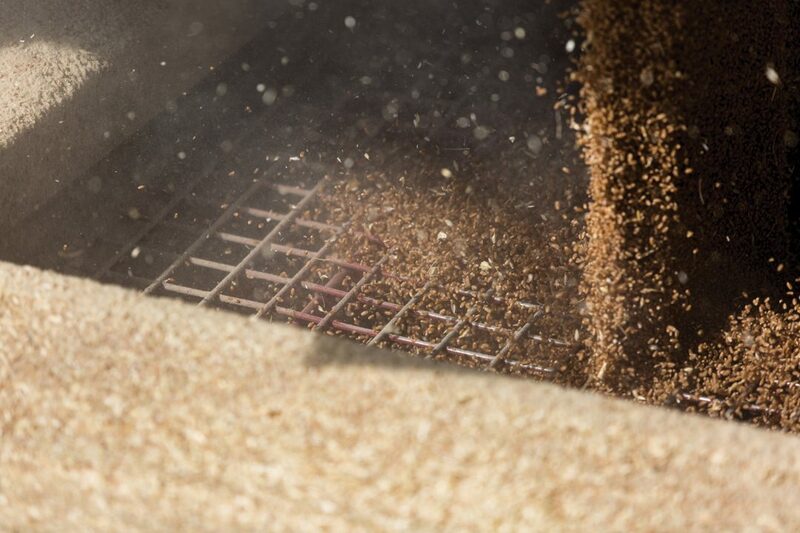 Both of these emerging markets now import about one million tonnes of Canadian wheat annually. 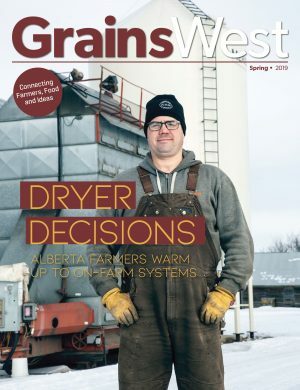 In an era marked by both uncertainty and opportunity in international agritrade, competing nations have taken notice of Canada’s grain-marketing approach. A 2015 report by the Australian Export Grains Innovation Centre lauded the coordinated activities of Cereals Canada and Cigi and recommended the creation of Australia’s own Cigi-like organization. Canadian team members visit the Cogorno flour mill in Peru during the Latin American new crop mission. 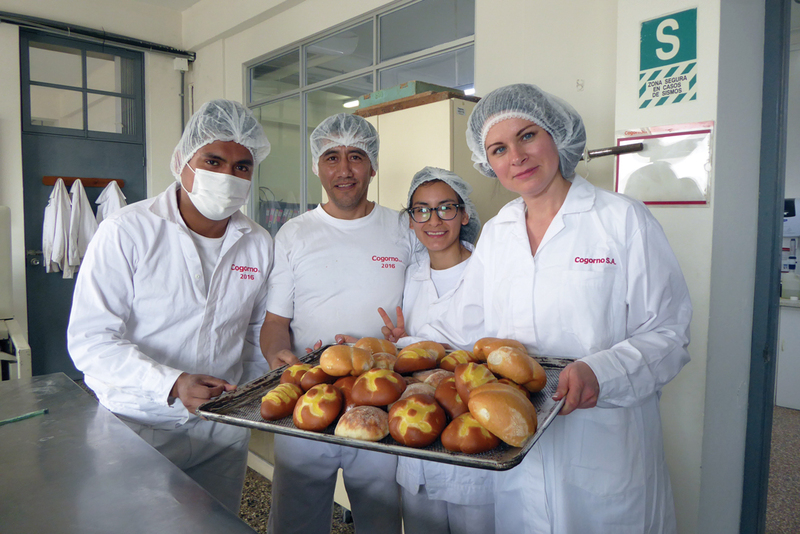 Pictured at far right with mill staff is Yulia Borsuk, Cigi technical specialist in baking. 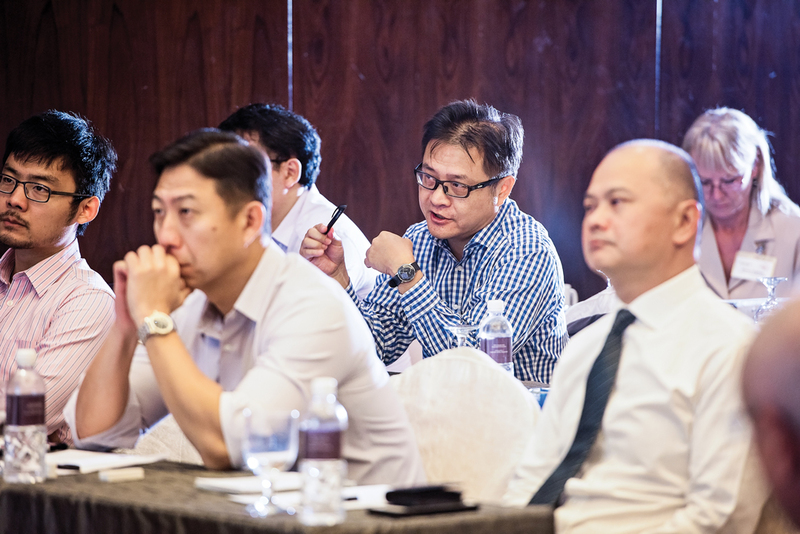 Structured as half-day events, new crop mission seminars are typically attended by representatives of the majority of the buyers and millers in the host country. Sessions are introduced by a Cereals Canada representative followed by farmer and exporter presentations. This portion of the session serves the first of two central functions, which is to provide industry context. On the export side, the logistics of the Canadian system are discussed. Buyers want to know how the country is addressing supply chain hitches that occasionally crop up. Next is the big marketing picture and production volume stats. What are the top exporting nations producing, where does Canada fit in and what can it deliver? behind crop input systems, attendees are also briefed on Canadian agricultural practices. Kevin Auch, who farms grains and oilseeds near Carmangay, attended the 2017 Latin American mission, speaking in Chile, Peru, Colombia, Ecuador and Mexico. 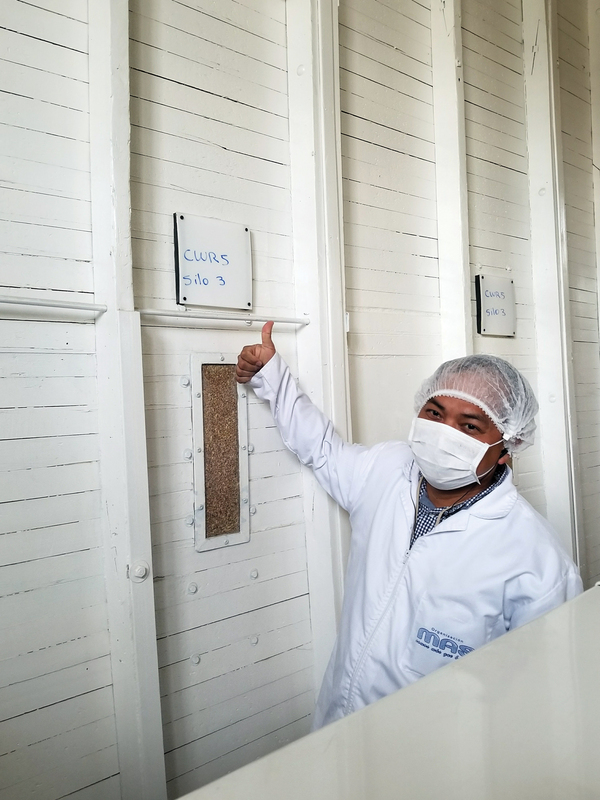 Norbert Cabral, acting head of Cigi milling technology admires a silo filled with CWRS wheat at Organización MAS. information about the quality of the current wheat crop as this varies slightly from year to year with growing conditions. “Part of the service package of buying Canadian wheat is that we are there to support our customers,” said Dahl. New crop mission presentations lay out the quality and characteristics of the year’s crop for customers who want to know how the grain will perform in their mills and end products. For instance, how much flour will it yield, how will the quality of products such as pasta or couscous be impacted and even how will its characteristics affect food production steps such as the rate of water absorption and mixing time during dough making? The CGC Harvest Sample Program provides the raw crop data that fuels new crop missions. As high quality is the hallmark of Canadian grain, the program is the central pillar of brand maintenance. “Without farmers’ participation, we don’t have that data. And we wouldn’t be able to showcase the quality of the crop to our customers. It’s critical,” said Patti Miller, CGC chief commissioner. The voluntary initiative received crop-sample envelopes from 13,492 participants in 2016/17 and 13,218 in 2017/18. Miller would like to see submissions increase. While testing grains, oilseeds and pulses, wheat is analyzed for quality characteristics such as grade and protein content—data that’s returned to individual farmers. CGC also uses the samples to create composite data on the overall crop, breaking this down by region. Armed with this information, new crop missions are a formidable grain marketing tool. “In international markets, a government regulator that sets the quality standards and sets those measurements is a trusted partner,” said Miller of the CGC’s role. Presenting the second tier of technical data, Cigi representatives speak to the quality of the end product. Working with composite samples prepared by the CGC, Cigi completes its commercial end product quality evaluation of pan bread, noodles and pasta and shares these results during the seminars. “For example, did we see good volume when it comes to bread, and did we see good colour when it comes to pasta?” said Dean Dias, Cigi director of value chain relations. The morning seminars generate questions and lead to separate meetings with individual companies and organizations. Dias said this is as productive as it sounds, and the relationships Canada continues to build with international buyers produce results. “When the customer trusts you, that goes a long way,” he said. Customer support continues during the year with Cigi providing technical information, as requested, to established markets such as Japan, and holding hands-on technical workshops in Canada and abroad for others that are less familiar with Canadian grain products. 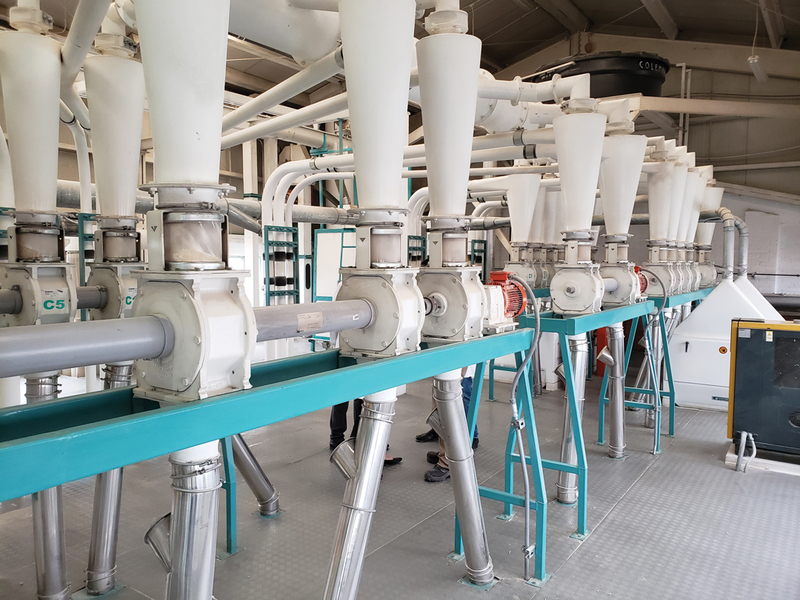 Technical exchanges conducted at Cigi’s Winnipeg headquarters during the summer months see customers visit Canadian farms to gain firsthand understanding of farming practices, a step Dias said is increasingly important in closing grain marketing deals. “Customers want to know where the food is grown, where it is coming from,” he said. Visiting farms, meeting with Cigi and CGC staff as well as grain exporters and participating in technical demonstrations, these technical exchanges typically end with a terminal elevator visit. Along the way, participants gain a comprehensive appreciation for the multilevel quality assurance processes central to the Canadian ag brand. Cigi also conducts technical missions within key markets, meeting with organizations. In these, solutions are devised to address buyer concerns. This may go as far as conducting research and supplying technical advice that will assist the company in producing the desired end-product results. New crop missions are also about building relationships. 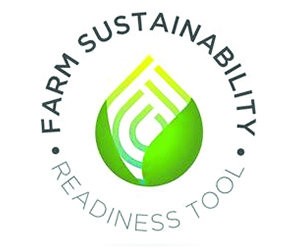 “The relationship and capacity building that is carried out during new crop missions is critically important if an access issue develops in a market,” said Dahl. For example, the 2017 Italian new crop mission addressed country of origin labelling collectively and in one-on-one meetings with customers and milling organizations. The 2018 new crop mission to Italy is scheduled for December. Representatives of grain buyers and millers in Singapore ask questions of the Canadian new crop mission presenters. The Canadian wheat brand is well-recognized in export markets, with CWRS and Canadian Western Amber Durum especially well known. Cereals Canada is exploring ways in which this market differentiation can be extended to further wheat classes. For instance, in South America, which is now a large purchaser of Canadian Prairie Spring Red (CPSR), Colombia has been identified as a potential growth area for sales of CPSR. In addition to bread, it is also utilized by some nations in pasta and noodle making. A March 2018 investigative mission that included Cereals Canada, Cigi and the Alberta Wheat Commission (AWC) was conducted to identify how Colombia is using CPSR it was purchasing and to determine what end products Canada could promote to increase the market. “Market development starts [by determining] what a country wants,” said Dias. “Canada needs to have a better understanding of what customers are looking for from CPSR.” In this self-perpetuating circle, the value chain, including AWC, can help direct its CPSR breeding activities toward the needs and wants of the marketplace.